“This is Burma. It will be quite unlike any land you know about.” These are the words of Rudyard Kipling, who drew this conclusion (and wrote The Road to Mandalay) after a brief three day visit to Rangoon and Moulmein. 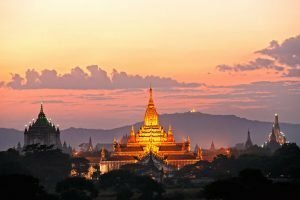 It’s safe to assume that Burma worked its magic on Kipling – even though it was still a British colony as he passed through, it was resilient enough to still exude its own enchantments. And that’s something that it still does today…be it in the twinkle of a gilded pagoda, in the traditional ways of its diverse population, or the pleasure of floating gentle down the Irrawaddy, Burma still knows how to work its wicked wiles on even the most cynical traveller. 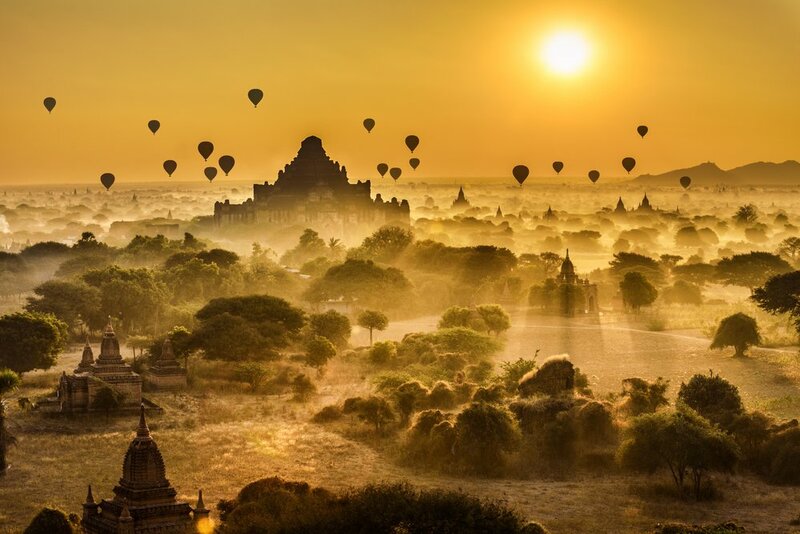 Bagan and its temple strewn plain is Burma’s biggest draw, and it really is that awesome. There is much magic in just driving or cycling through the area and stumbling across temple after temple – some of them feel like you’re the first person to have set foot in them for centuries whilst others have been used for worship for centuries and buzz with life. There are 2000 structures here now, it’s believed there were originally more than 10,000. 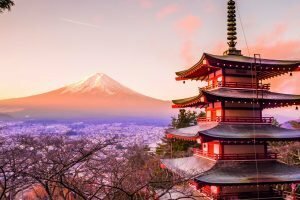 If you climb up high, it’s easy to appreciate what the plain might have looked like back in the day, but there are still more than enough temples to have your breath stolen away. 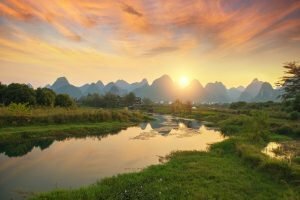 The view is especially enchanting at sunrise or sunset. Burma has a lot of temples. A lot a lot of temples. Considering that Buddhism is the heart and soul of the country, it’s not really a surprise. Oh, and a lot of them are really quite shiny – Shwedagon is no exception. One of Burma’s most prominent shrines, its coated in gold leaf (27 tons of it!) and encrusted with thousands of gems, including diamonds. Wowzer. But this is just part of the reason it’s so magical, the other is its atmosphere. A huge place, a lot of monks, nuns, Yangoners, pilgrims and visitors alike are exploring the precinct at the same time – it must be the awe and earnest worship that the temple inspires that creates that electric atmosphere, just one of those phenomena that you can’t help but get swept up in. Just plonk yourself on an edge or step, preferably around sunset, and watch or make contact with people to your hearts content! 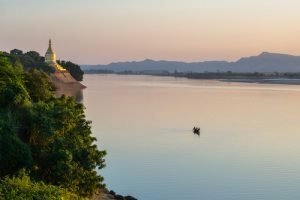 The Irrawaddy River has been Burma’s sustenance for centuries, providing transport, communication, a source of food and a source of water for drinking, cooking, washing and irrigation. Many settlements are on or close to the river – big ones such as Mandalay and Bagan right down to tiny local villages of one or two houses. Using the Irrawaddy as your road, your pathway, opens up a whole other side of Burma, one that is more authentic and more mystical. The traditional values of the Burmese, in some cases unchanged for centuries, are most clear and abundant amongst this rural population, some only reachable by river. So, for that magical glance of Burmese life that you wouldn’t usually get, try taking to the water. Burma is an incredibly diverse country, home to at least 135 distinct ethnic groups. Many of them live in communities in the hills of Shan State, and still wear their elaborate traditional dress and speak in their own dialects. Many are still living the subsistence lifestyle of their ancestors, rising animals, farming the land and selling produce at local markets. 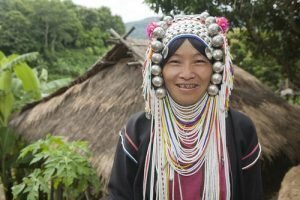 The best way to meet the ethnic minority hill tribes is to hike to their villages in the hills. As well as getting a glimpse of their way of life, and getting to interact with these wonderfully friendly people, it’s also a fantastic way to enjoy the beauty of Burma’s countryside. You’ll find the rural areas have a completely different vibe to the cities – one that is just as magical. Burma isn’t really known for its beaches, but there are some delightful stretches of sand to enjoy. Currently, they aren’t quite the standard of some of Thailand’s best but as time passes, more and more seaside options are opening up to foreigners. 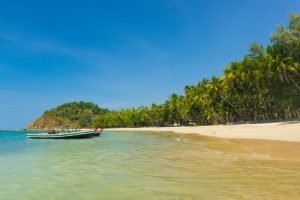 Soon enough perhaps the tropical, Andaman Sea lapped islands of the very south of Burma will start offering up patches of sand for those looking to stop and flop after a touring Burma’s treasure. Back closer to Yangon, the best-known beach resort is Ngapali – we’re talking enchanting swaying palms, white sand and beautiful clear seas. Chaung Tha offers a more local atmosphere, whilst Ngwe Saung is the place for the growing upper classes of Yangon. Slightly further north Sittwe is for those who like their relaxation time with a side of extra beautiful setting. 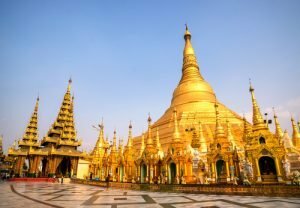 Would you like to explore these magical wonders of Burma? Just give our tailormade team a call to start planning your dream Burma holiday!